Even though Ismael repented and changed his ways He is still the fallen version of Avraham. This means I must die to self and get rid of all of the lust and desire in my heart for physicality and sensuality. This is the Ismael in me. 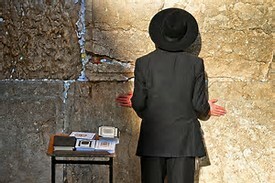 My goal is to be like Avraham who represents the Holy love for G-d.
My prayer every morning is for HaShem to purge out of me all of the things that are not of HIM to make me clean to get ready for the coming back of the Moshiach- Yeshua the Jewish Messiah. “After chronicling Abraham’s death, the Torah lists the descendants of Ishmael before continuing with the chronicle of Isaac in the next section. Literally, the Hebrew original reads: “He fell throughout the area. . . . ” Ishmael was the “fallen” version of Abraham. Abraham personified holy love – love for G‑d and kindness to others. Ishmael personified love in its “fallen” version, an obsessive desire for physicality and sensuality. In our own lives, it is our task to transform our love and passion for material things – the fallen love of Ishmael – into a holy love for G‑d.1 Sefer HaMa’amarim 5648, p. 196. Through the guidance of Sarah Ishmael repented and changed his ways. This turning back to G-d allowed Ismael to lead his father’s Avraham’s funeral procession. Add to the mix that Ismael could have demanded his father’s inheritance yet Ismael didn’t shows even more evidence that Ismael had truly repented and changed his ways. This gives hope for us all. When the Rauch HaKodesh strikes, me I will turn away from evil ways and turn back to G-d. Thus, this is true redemption and total freedom. The only way this can happen is when I admit I have a problem, become teachable by taking correction from a G-dly teacher, in Ismael’s case it was Sarah, in my case it is my teacher Pastor Steve Gray, and this results in my turning back to G-d. Then we will have total freedom. This sums up what Yeshua is all about. Repentance, redemption and freedom. This only happens when I accept Yeshua is my saviour and L-rd over my life. And then following the example of the L-rd of my life by spreading the good news of salvation. Yeshua is the Jewish Messiah. My people will be resurrected and return to the house of the L-rd. Then the entire world will know why HaShem chose us Jews to be HIS people separated out for Adonai’s use only. “Shortly after Isaac married Rebecca, Abraham remarried Hagar, and had six more sons through her. Years later, when he was 175 years old, Abraham died. Isaac is mentioned first, indicating that although Ishmael was the elder son, he allowed Isaac to lead the funeral. Ishmael thus demonstrated that he had truly repented: His primary sin had been his claim to Isaac’s inheritance; it was only after Abraham died that Ishmael could have made this claim, yet he did not. Sarah deserves the credit for Ishmael’s improvement of character. Her insistence on directing Ishmael properly eventually led him to repent enough to recognize the truth of Isaac’s primacy. Following Sarah’s example, we too should not give up or shy away from correcting and assisting those who truly need our help in the ongoing challenge of self-refinement.1 Likutei Sichot, vol. 15, pp. 149–150. Think about this for a moment. 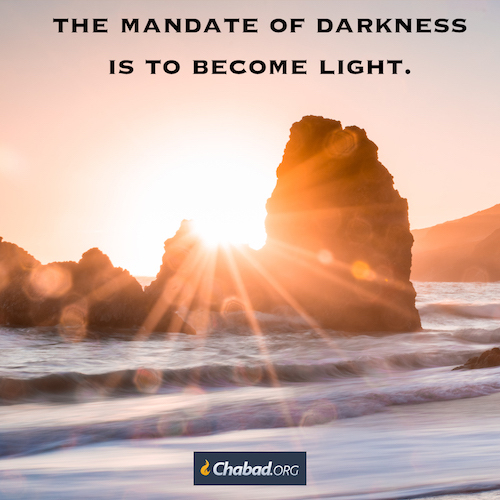 “Although Abraham lit the Sabbath candles after Sarah’s passing (for he observed all the Torah’s commandments), his candles did not remain lit throughout the week, as Sarah’s had. But when Rebecca began kindling the Sabbath lights, her candles continued to burn miraculously the whole week. “Eliezer set out with Rebecca back to Canaan to meet Isaac. After Isaac and Rebecca married, Rebecca assumed Sarah’s place as the family matriarch. 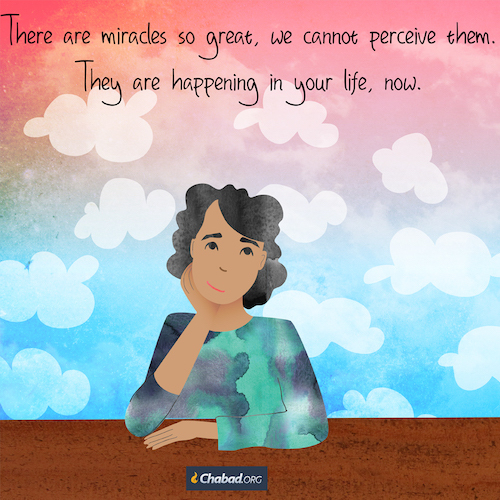 When one gives everything to G-d, HaShem responds in kind. G-d wants to give HIS abundance to help bring about the marriage between heaven and earth. This is my mission to pull down the kingdom heaven so G-d can have HIS dwelling place. The only way this can happen is when I die to self to quote my teacher Pastor Steve Gary. “The girl who gave water to Eliezer and his caravan was indeed Rebecca, Abraham’s grandniece. After having betrothed Rebecca to Isaac, Eliezer met Rebecca’s family and told them the details of his mission. Abraham was willing to give up his entire fortune in order to ensure that Isaac marry Rebecca. So, too, G‑d is willing to give up “all His bounty” to help each and every one of us fulfill our mission of bringing about the “marriage” of the physical and the spiritual dimensions of reality by transforming the world into G‑d’s home through our good deeds.1 Sefer HaSichot 5752, vol. 1, p. 109. What was set in motion by Joseph’s brothers intended to destroy Joseph was actually used by G-d to save Jacob and Joseph’s brothers. This evil was used by G-d to save Judah from a life of un-G-dliness. Joseph became the second most powerful man in Egypt. And thus G-d used this intended evil to save us Jews. What looked bad to the worldly was a blessing for Joseph and Judah and all of us Jews. G-d used my alcoholism and drug addiction to bring me back to HIM. G-d blessed me with continuous sobriety since December 16th, 1971. The upshot of this is now I am on my face seeking G-d and I am follower of Yeshua. The priorities in my life are G-d, family, Church and job. This is the result of G-d bringing me back to my Jewish roots through my teacher Pastor Steve Gray World Revival Church, Kansas City. Pastor Steve Gray through the work of the Ruach HoKodesh The Holy Spirit took this broken-down Jew and brought me and my family back to G-d and thus we became a follower of Yeshua. “While pasturing their flocks, Joseph’s brothers plotted how best to eliminate him and the threat they believed he posed. Jacob sent Joseph after them. Although they neither intended it nor foresaw it, the brothers’ actions led to Joseph’s eventual rise to power and the survival of Jacob’s entire family. 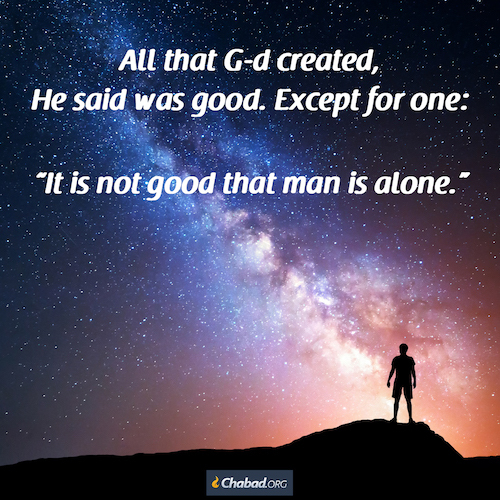 Joseph’s experience vividly demonstrates that whether we realize it or not, everything that happens to us is orchestrated by G‑d for our benefit. It is therefore foolish and unproductive to be angry with those who appear to be harming us. Although they may indeed be guilty for their actions, they cannot do anything to us that G‑d does not will. Rather, we should learn from Joseph, who repaid his brothers’ evil with kindness, continuing to love them despite their hatred toward him.1 See Tanya, chapter 12, end. Likutei Sichot, vol. 20, pp. 187–191. The following sentences are paraphrased from the teachings of Rabbi Gordon. Animal soul wants us to be a human being. The second soul is G-dly. This is a chunk of G-dliness. The second soul is literally a chunk of G-d. If I don’t like the way I feel I must study. It is a slow process to change the way I feel. Study, study, study. The garments of the soul are what I say, think, and say. Garments of the G-dly soul are the mitzvahs that I do. It is all about action. I must take action. 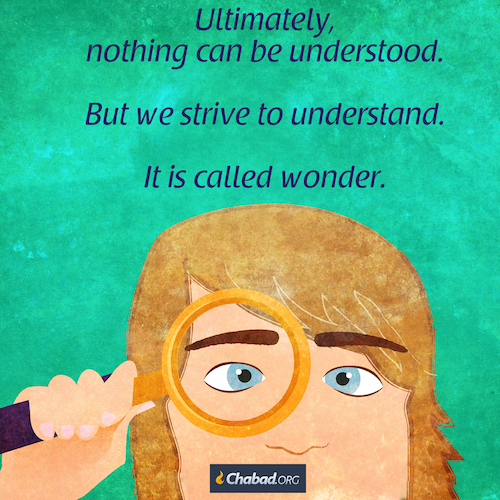 To become G-dly I must put on the garments of action, speech, and thinking about Torah. If my garments are garments for his G-dly soul I will think of Torah. This means I will think of G-dly things. If my garments are of non-G-dly things I will think of non-G-dly things. Therefore, what I occupy my time with is what I will think about. There is a basic principle that no one does anything they don’t want to do if they don’t love or fear that person. The hard part is make sure that what I love and fear is Kosher. I must make sure that what I love and fear is healthy and appropriate. If I don’t I will get into a lot of trouble. My teacher Pastor Steve Gray ingrains in my mind. heart, body, and soul it is not about me it is all about G-d. Self-centeredness is the worship of self. This evil is expressed by selfishness. While charity and generosity is the G-dly quality in me. G-d is all about generosity and kindness. Kindness is the act of love. By doing acts of generosity this is my connection to G-d. While selfishness separates me from G-d and this is the evil inside of me. On a daily basis I ask HaShem to remove all selfishness in me. My flesh cries out “NO!” Yet by asking G-d to make me clean and going against this evil inside of me brings me closer to G-d and a G-dly life. My teacher Pastor Steve Gray calls this dying to self. This is a must for me if I want to serve HaShem. “Eliezer and his caravan set out for Aram. They arrived at the well outside Haran, the city of Abraham’s brother, Nachor, when the women of the city were drawing water. Eliezer prayed to G d to guide him toward Isaac’s proper match by having her respond generously to his request that she draw water for him and his entourage. 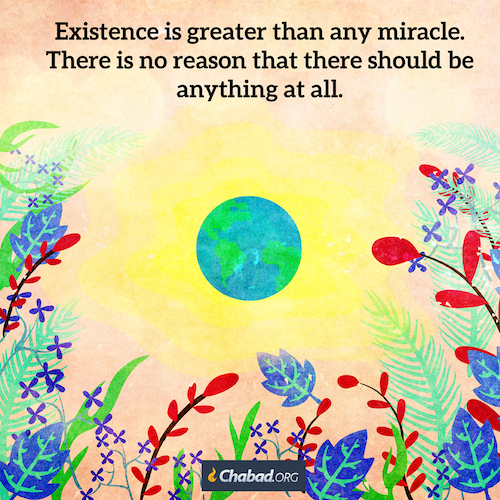 Since G‑d lacks nothing, generosity is the primary way in which He relates to the world. 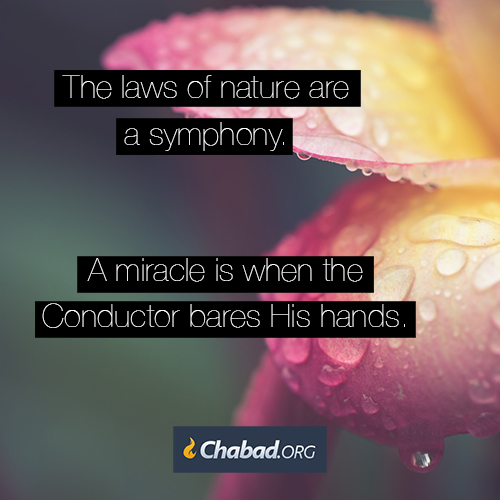 For the same reason, generosity is the natural hallmark of people who feel closely connected to G‑d. In contrast, the hallmark of evil is selfishness. No matter how much an evil person possesses, he remains unsatisfied, so he seeks only to take and never to give. Eliezer therefore sought a woman for Isaac who would display kindness. When Rebecca went beyond fulfilling Eliezer’s specific request by offering to also water his camels, he understood that she was a G‑dly person and thus a fitting match for the son of Abraham. By demonstrating kindness to others, we too are “matched” with the most worthy partners – whether soul-mates, friends, business partners, or callings in life.1 Sidur im Dach 92b.